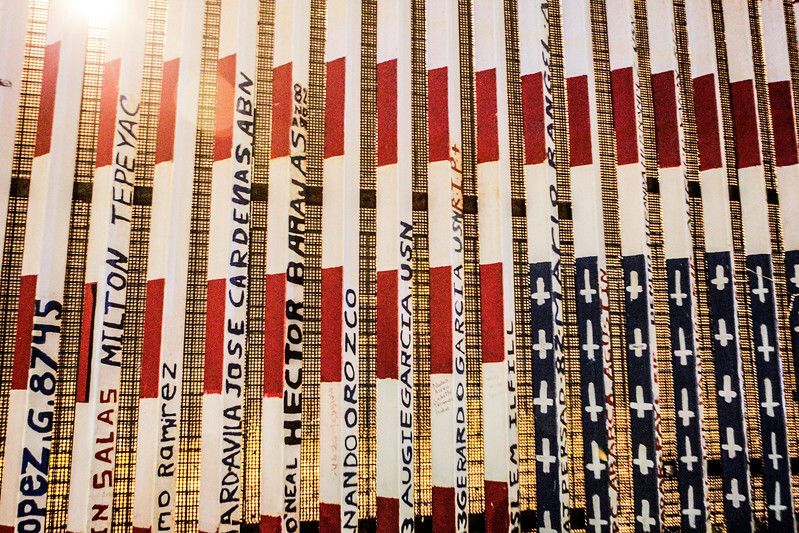 SPC Hector Barajas-Varela’s and other deported verterans’ names are written on the border bewteen the US and Mexico. Taken at Parque de la Amistad, Tijuana, Mexico on Friday, November 10, 2017. The US currently has veterans that were deported to 42 countries around the world.